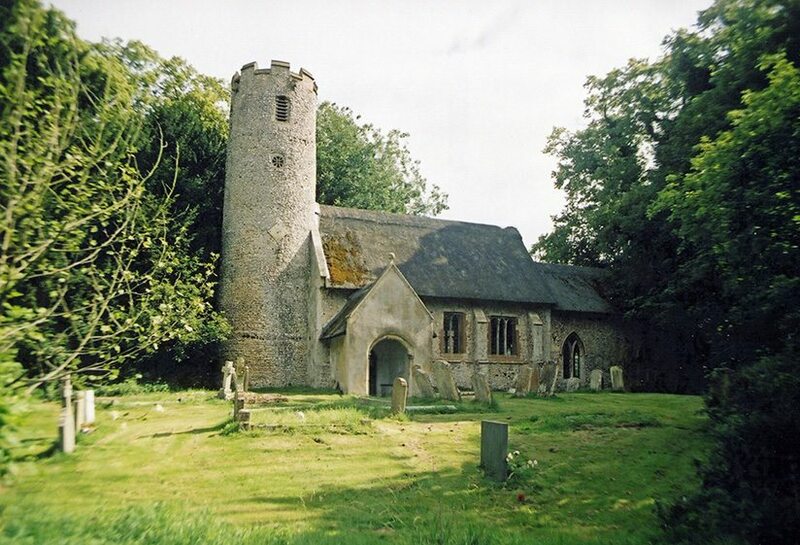 In the year 429, near St Albans; one St Germanus is saved. As: ‘the adjoining dwellings which at that place were thatched with reeds from the marshes’, are destroyed all around him. 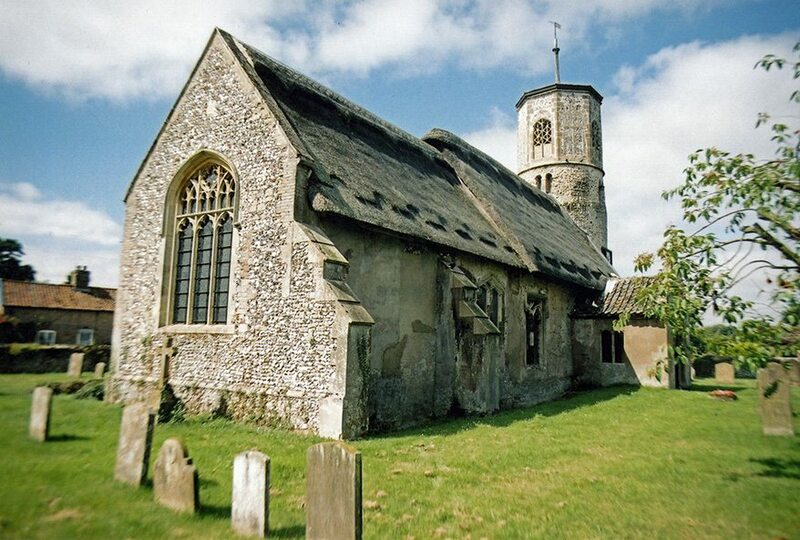 The saint was bed ridden, but his thatched cottage is spared…. In around 651, the pagan, Mercian king Penda, attempts to set fire to a city. By: ‘Pulling down all the neighbouring villages, he carried to Bamburgh a vast quantity of beams, rafters, wattled walls and thatched roofs’ . He is thwarted, by the intervention of another saint, Aidan this time…. Our more cynical times, would perhaps mark Bede down, as being rather credulous; but he was a good historian… Thus these brief insights, into this world full of miracles, allows us to deduce a few facts. Fire, as ever, is a menace and it seems a weapon of war. The idea of dismantling whole villages, may seem somewhat extreme to us, but to Bede’s contemporaries it was not that unusual. 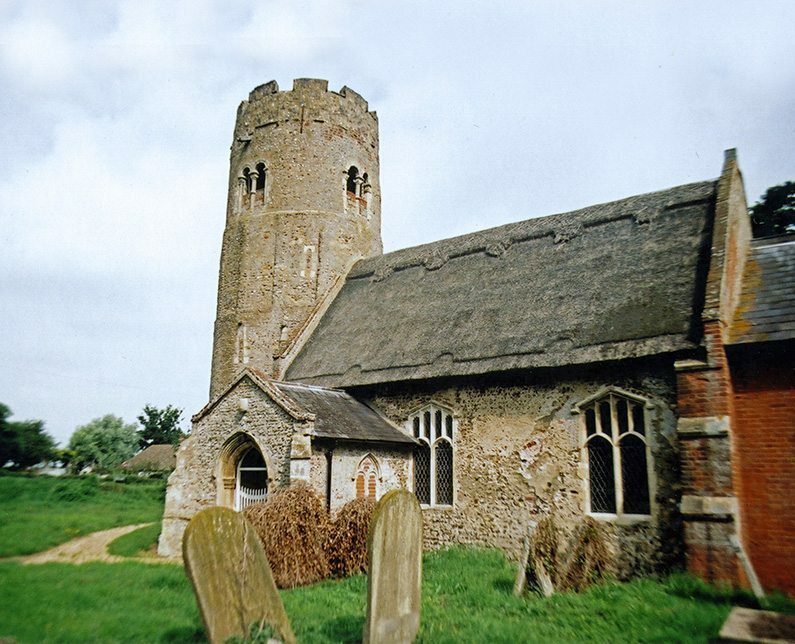 Until late in the Saxon period, many English settlements seemed to have been moved; at intervals of around thirty years. Only a couple of miles or so; in what is known as the Saxon shuffle. Jarrow Hall… An eleven acre site, close to Bede’s old monastery. These two buildings are based archaeological evidence. On the left: a monastic workshop from Hartlepool, and Thirling’s Hall from Yeavering. Photo; copyright and thanks, Andrew Curtis; Creative Commons Licence. As seen in the picture above, most people it seems, lived in fairly standard homes, of around 36×15 feet (11mx4.7m). Giving a twelve square roofing job for the thatcher. 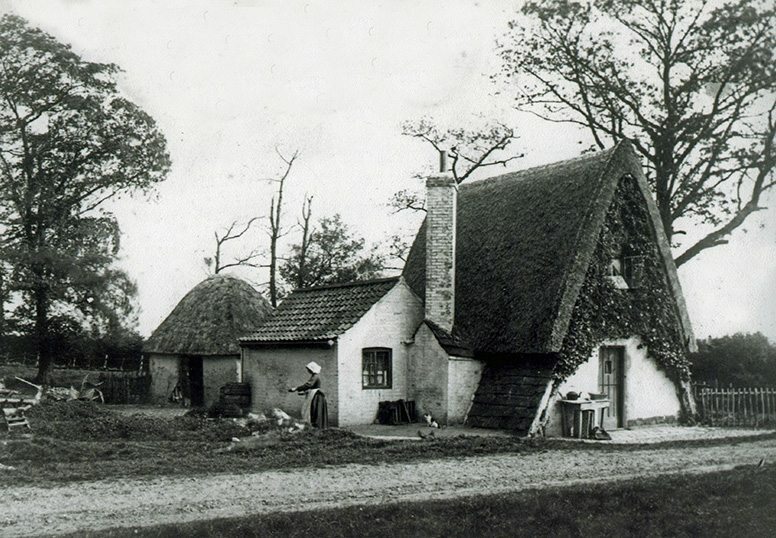 Single storey, but the prototype for thousands of today’s thatched cottages. 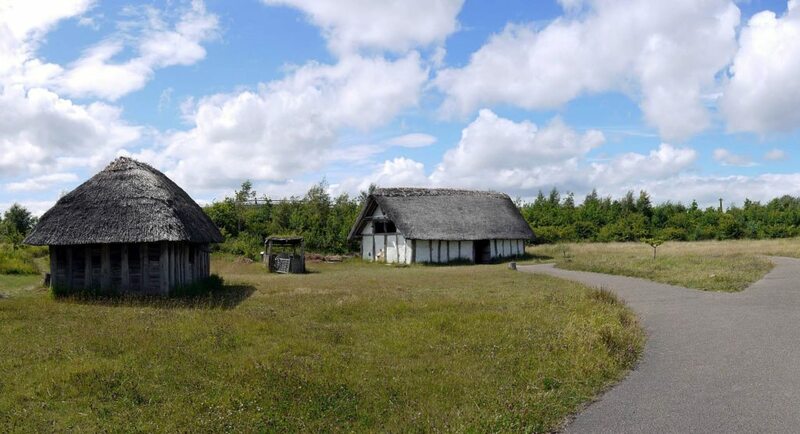 However excavations of many Anglo Saxon sites, have brought to light several other types of buildings. Both small and large; reflecting their use, by people at either ends of society. Also found at Jarrow Hall is a ‘Grubenhaus’, literally translated as ‘Pithouse’; the workshop and home, of the lowest classes. As the name implies, a pit was dug around eighteen inches (½m) deep and the hut built over it. Structures around 16×14 feet (5x4m) are common. 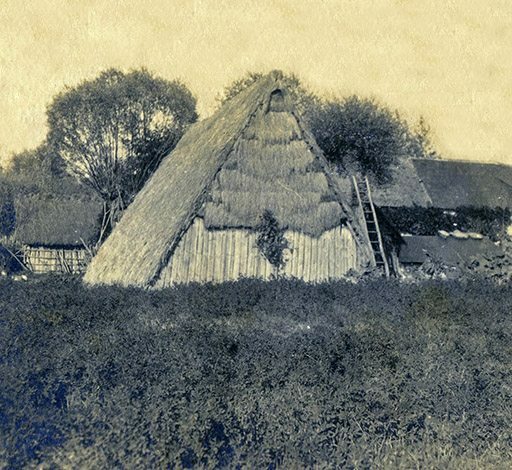 The thatch roof seems to have extended down to the ground on many, almost like a tent; others had low walls. Loom weights and metal slag have been found in some of these and point to their probable uses. 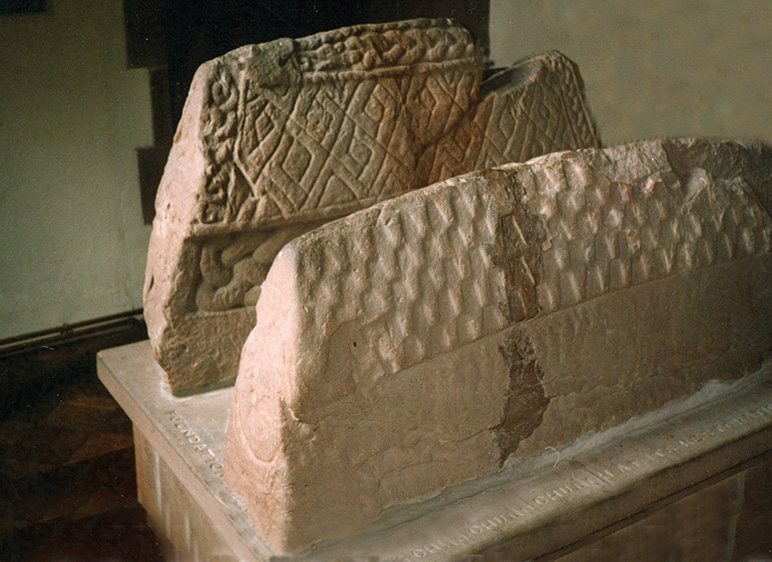 Shingles and thatch… These rare Viking ‘Hogsback’ tombstones, lie in a quiet corner of St Mary’s Church, at Gosforth in Cumbria. The front example, of these little houses for the dead; clearly shows a shingle roof. 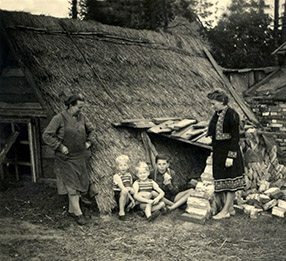 Similar roofs still exist in Norway… The rear stone however, might just show a decorative roof, of thatch… Perhaps showing a roof fixed with ropes and edged and ridged with turf? One such chief, at Dinas Powys in modern Glamorgan, built two good size halls. Local thatchers then covered around thirty five squares of roof, for their headman… These would not have been the only buildings on the site. Apart from a hall and a private chamber; a kitchen, chapel, barn, stable, porch and privy; are all mentioned in Welsh documents of this period. The site was a good one, and gave status and shelter for three centuries; from around the year 470… The owners employed a resident jeweller and drank wine, from the Mediterranean region. As did the occupiers of Cadbury, a fortified hillfort in South Somerset; a site long associated with King Arthur. Here, on a prominent hilltop position, the remains of a large hall were excavated; dating from around the year 500. 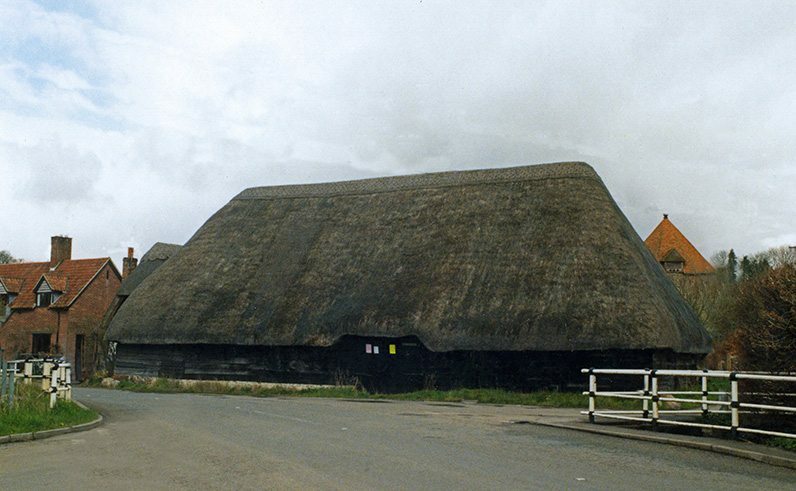 Dark Age thatchers once covered a timber building, 63x34ft (23mx12m). That’s a thirty foot (9m) roof to thatch over; a daunting prospect at the best of times. Even more so on a windy hilltop, five hundred feet (152m) above the Somerset marshes. Perhaps they cut reeds in the surrounding wetlands, if so that meant carting four thousand or so bundles up the steep tracks to the hill fort… All work, provided by some unknown worthy; who may have been called Arthur? Fit for a king… This large barn, at Eastbury in Berkshire is around three quarters of the size, of the building that once graced the hilltop at Cadbury. And gives us some idea as to the scale, of the various regal feasting halls, that once dotted Britain… The low eaves on this barn were probably replicated, on any royal forebears. As a single story building doesn’t need high walls. And is thus easier to construct. A century or so after the death of any King Arthur, another king was being laid to rest. Over on the eastern side of England, in Suffolk; at Sutton Hoo.. This was almost certainly one Raedwald, King of the East Angles. One of the many treasures he took with him, was the chain that hung over the fire in his main hall. This remarkable artefact gives an insight, into the buildings of this period; that normal archaeology cannot achieve. It’s length tells us the approximate height of this ruler’s hall. From any main cross beam to the large chaldron, the chain no doubt supported. A structure, of around twenty three feet (7m) in height has been estimated. (It depends how high you place the cross beam, from which the chain hung.) This would have given the thatcher, a roof of around twenty three foot (7m) to cover. Modest, compared with other royal dwellings. Maybe the chain hung lower in the roof, than is thought. The living conditions inside are hinted at. The skilled metal worker, who wrought this masterpiece, decided to gradually lessen the rich ornamentation, as the top of the chain is reached. It was so smoky where this hung; not even King Raedwald would see it…. The coming of the Normans, allowed a rough and ready stability to most lives. 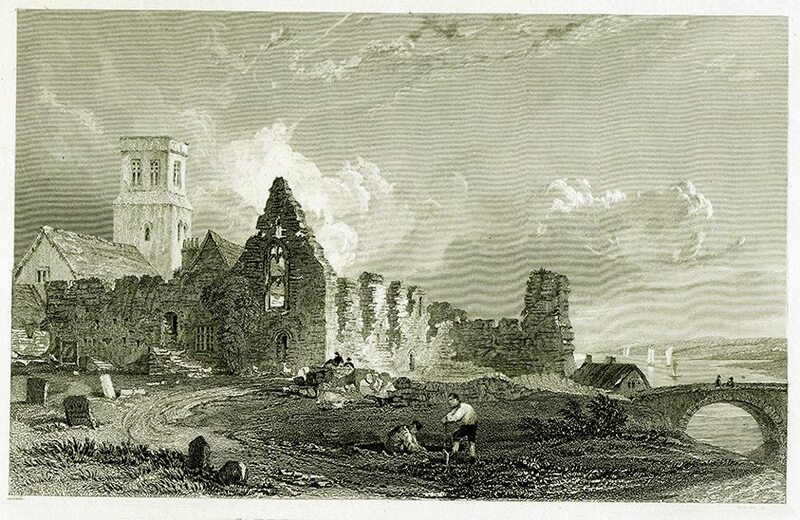 Not too many invasions, or upheavals… Bringing in time, the wealthy farmer’s hall house, the long houses of the north and west; and the arrival of the chimney. Some of these have survived. Real buildings can now take the place of imagined ones. Even some of the later, medieval thatcher’s work, is preserved in the odd sooty attic… What we see, in this ‘smoke blackened thatch’, is very similar to what is done today. There is no reason to suppose that these methods and materials do not go back in time, as well as forward. Revealing the craft, that both the poorest peasants and the wealthiest king relied on. Before the Normans, thatching sheltered just about everyone, high or low.